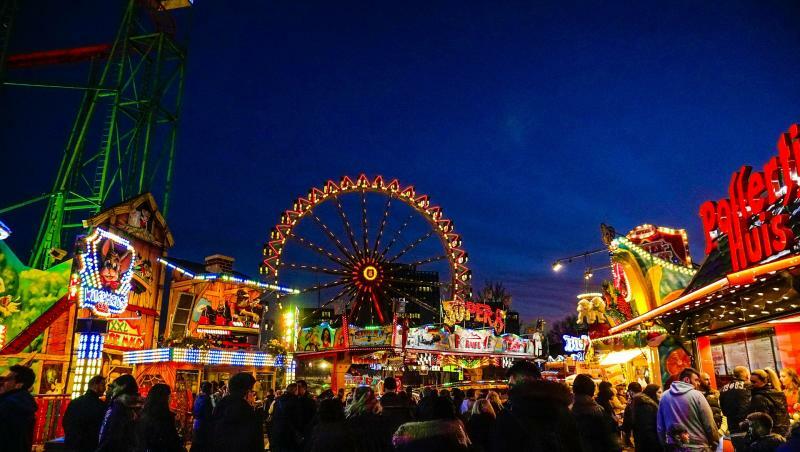 The stalls are being put up, the fruits get covered in chocolate and thousands of lights are installed – it is time for the spring funfair in Cologne Deutz! Each year the funfair located at the right bank of the Rhine between Mülheimer Brücke and the Severinsbrücke attracts numerous people. Right on time for the Easter weekend on the 31th of March the booths and fun rides open for visitors and sound the bell for spring. The highlight of the funfair are two fireworks on the first and last Saturday which, thanks to the beautiful setting, are going to be very special. Action lovers, parents and grand-parents who accompany their happy and excited children and everybody else who is hungry can combine the funfair visit with a nice lunch or dinner nearby. We have some recommendations right here!